If you’re after a Google Pixel XL repair in Perth, then you’ll want to get in touch with the Phone Ninjas. 30,000 Happy Customers later and we know a thing or two about Google Pixel screen replacements, not to mention other repairs. Our aim is to install only the highest quality parts at affordable prices, backed by our Perth price beat guarantee! We have stores right across Perth, including in the North, South and even the Eastern Suburbs. Of course whilst our most common repairs are Pixel XL screen replacements, we can fix many other issues with the device. We ensure that all our screens will have the same look and feel as the original something we can guarantee because we use only the highest quality screens available, and we can fix many problems while you wait. 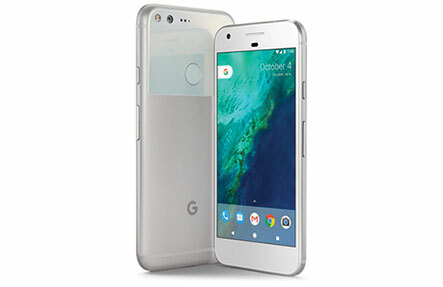 We have the experience, expertise and parts needed to bring your Pixel back to life, so for the most affordable Pixel XL repair service in Perth come into one of our stores or contact us today. Copyright 2014 Phone Ninja, All rights reserved. All other trademarks & copyrights are owned by their respective owners. We are an independent phone repairer and not affiliated with Google Inc. in anyway. All our Google and Nexus repairs use compatible or refurbished parts only. None of our repairs, products, or parts are official nor endorsed, authorized or refurbished by Google or Nexus or HTC.